Protect your family from Ultraviolet (UV) Radiation, avoid sunburn and prevent skin cancer with UVIMate! 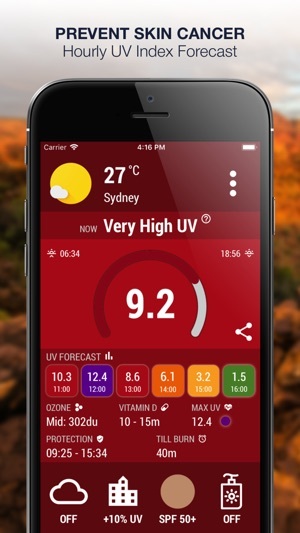 Track the UV Index around the globe on your Watch, stay sunburn free and have a safe time outdoors with accurate 6 hour UV Forecast, UV alarms, sunscreen SPF recommendations based on your skin type and more! Reduce your risk of melanoma and skin cancer and stay sun smart in the sun! Based on your skin type, we’ll calculate the time of the day you should apply sunscreen protection as well as the estimated time until you begin to burn to help you manage your outdoor activities. Enjoy having fun in the sun and leave the worrying to us! Our sun safety advice is tailored to your specific skin type, so we’ll give you the most accurate information and advice possible to keep you and your family safe in the sun! 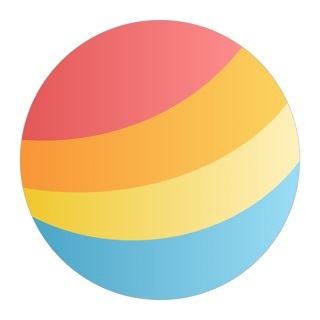 You’ll be able to use most of our sun safety features on your Apple Watch! Now you can go to the beach and you don’t have to worry about looking at your phone the whole time. You’ll have all the information you need right on your wrist – it’s your wearable sun safety coach! 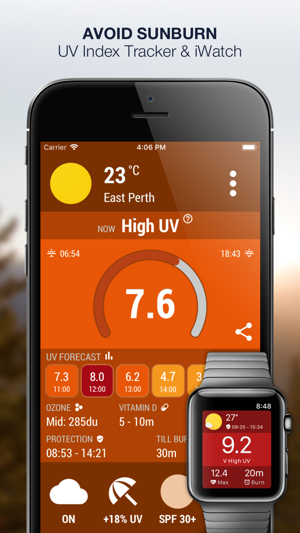 Track UV Index exposure history in Apple Health App on your phone or Apple Watch! 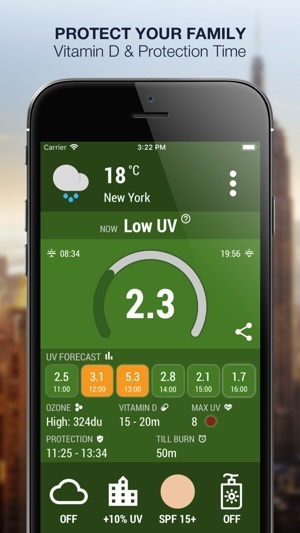 Take a look at the UV Index now no matter where you are in the world. 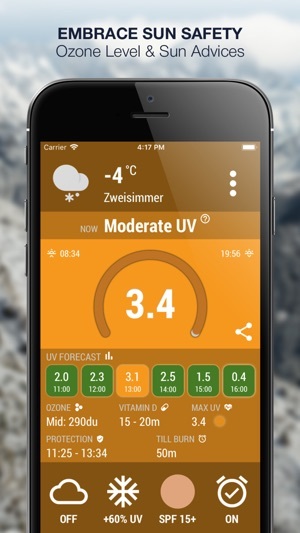 Perfect for days out at home or on holiday, you’ll be able to see the UVI forecast for the day, track your UV exposure, Vitamin D intake for skin health. The best way to stay safe in the sun is to stay updated! THE ULTIMATE SUN SAFETY TOOL! With everything you need to protect yourself against UV rays and have safe fun outside in the sun, UVI Mate is a must-have for anybody who loves spending time outside. 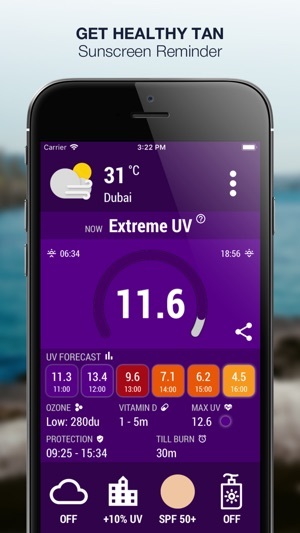 DOWNLOAD UVI MATE FREE TODAY & STAY SAFE IN THE SUN! Hi UVIMate friends! We came back with more stability improvements, bug fixes and better support for the latest Apple devices (iPhone XR, XS, XS Max, Watch 5). Enjoy! Superb update and invaluable app! What a great update! Very reliable syncing with the watch now. It's now replaced my previous UV app in my watch dock. The update has a ton of useful info and thank you for adding Fahrenheit! I upgraded to Pro and don't regret it. Would love to see the complication come back and it's a five-star app! As a pale person that loves the sun, this is invaluable. Keep up the great work! The aesthetics are good, the information is delivered well, like the option to add skin type. However, it doesn't update on my watch. Just says "open main app" and when I open the phone app, it does nothing. Also the nothing shows up at all on the small complication at all. S2, on 3.2.2. Would also like the option for Fahrenheit. I would upgrade to pro with those fixes. Hi Mercurial, thanks for your honest feedback. You could tap on the temp units to change it to Fahrenheit. We're constantly working to improve the app and planning to add Apple Watch complications in the future versions. Alex. Western Australia. This is the app I was looking for. I downloaded every iOS UV index app. I hated all of them. And then I found this one. I’ve used it for a week now. And I’m pleased. It’s a very simple yet highly functional, informative app. I like how it displays the UV index in decimals. My local UV index source rounds up or down. And speaking of my local IV index source, I’ve been comparing this apps UV rating with several other websites. It is very accurate. And I trust it. I really just got involved in skincare. And sunscreen. And the sun is something I now take very seriously. I have no complaints. I do look forward to perhaps an update in the near future perfecting the app or adding new features. But at the moment I can’t really think of anything to suggest. Thank you! I like the comprehensive information provided by this app; especially the function that takes cloud cover into account. I give it two stars because the app hangs up on my first location of the day and I have to delete and re-install the app in order for it to change locations. I had an IPhone 7 until this week when I upgraded to an iPhone 10. I experienced this problem with both versions of the IPhone. I would like to give this app a better review; I hope that this issue is addressed soon.